Adi Samkaracarya, adored as Acarya hails from the guru lineage of Sri Daksinamurti, who is an incarnation of Lord Siva. Acarya, who is considered as an incarnation of Siva, had all the qualities of Siva as well as Sakti. He was in the state of saccidanda and at the same time, he has authored many works are related to imparting Advaita philosophy; we know that Sakti is the Power of Siva, who always remain silent and meditating. At the same time, He is aware of everything that happens in the universe, through His wisdom. 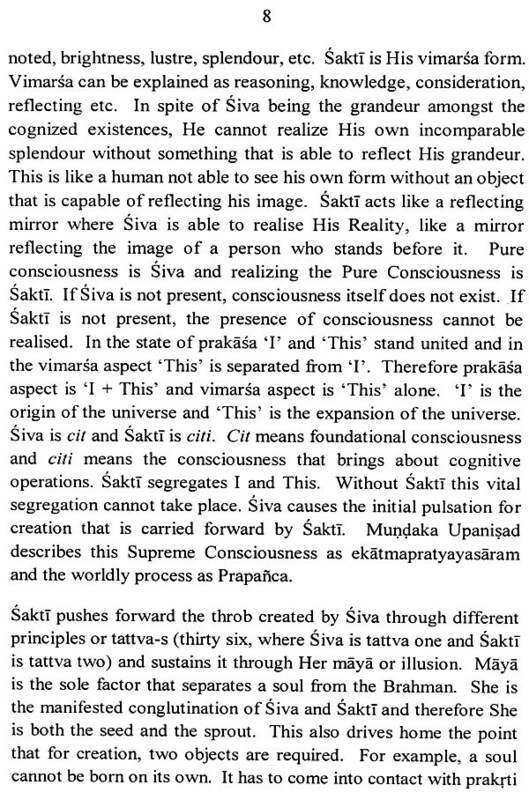 Siva and Sakti always remain inseparable. Saundayalahari begins by emphasizing the union of Siva and Sakti. 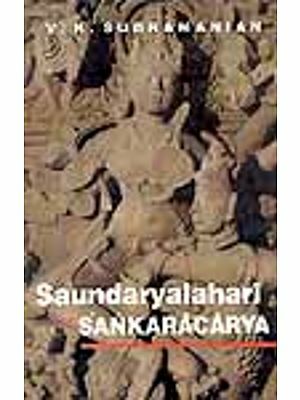 Apart from the fact that Saundaryalahari was authored by Samkaracarya, these are certain other version. 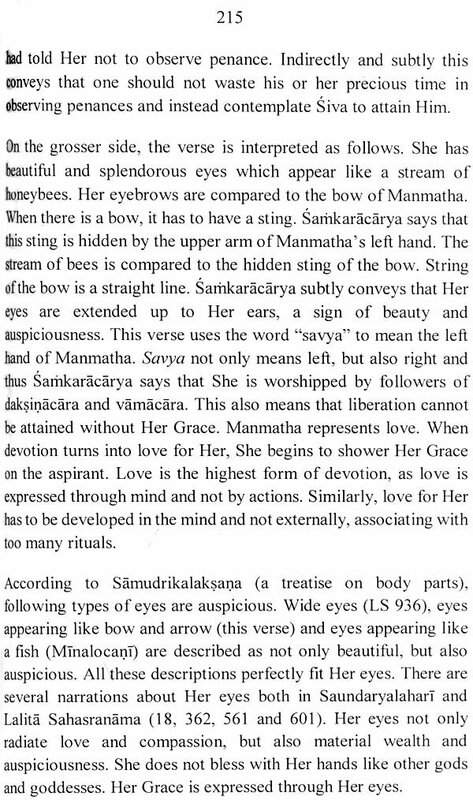 Once Samkaracarya had darsan of Parvati and paramesvara. During the darsan, Parvati handed over to him, a bunch of palm leaves containing all the verses of Saundaryalahari. 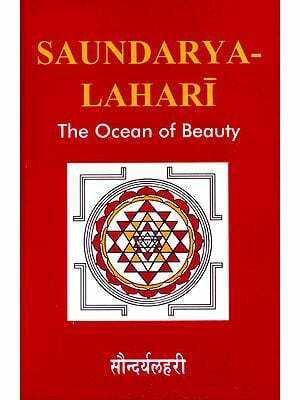 There is another version which says that it has been composed by Vac Devi-s, authors of Lalita Sahasranama. 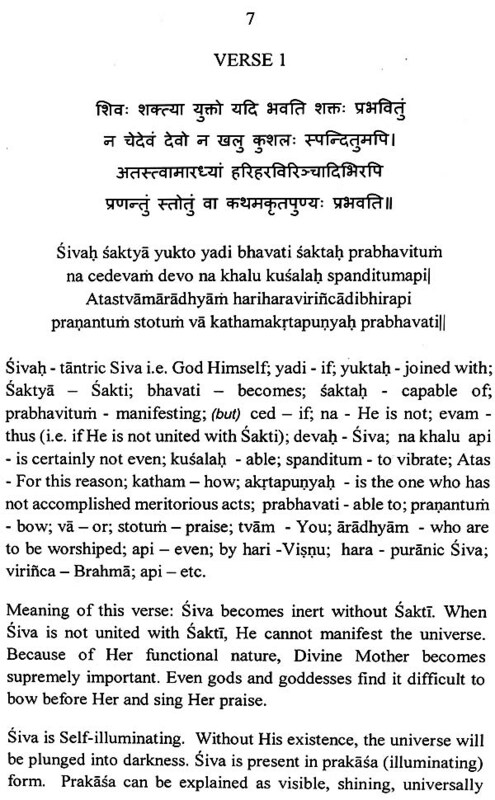 Third version says that these verses wee composed by Siva Himself as an encomium of His Consort Parvati. There is another version about its origin. Samkaracarya went to Kailasa, the Abode of Parvati and Paramesvara. 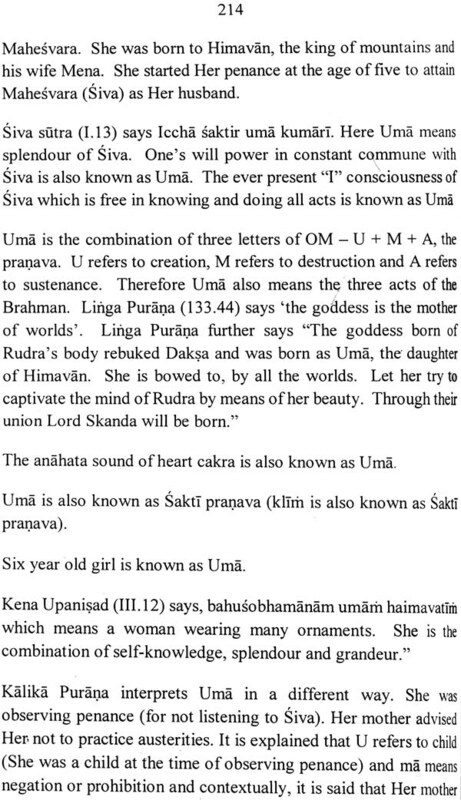 At that time, Siva gave him five Linga-s and Parvati gave him manuscripts in the form of palm leaves. Siva’s vahana Nandikesvara was witnessing this and thought that some treasures of Kailasa were going out of Kailasa. In the fit of anger, he pulled the palm leaves. But Samkara managed to hold on to some portions of it, though he had lost some, due to Nandikesvara’s anger. He returned only with first 41 verses and the rest 59 verses were taken away by Nandikesvara. The first 41 verses belong to mantra Satra and Kundalini yoga, the subtlest form of Parvati. Being an incarnation of Siva, He composed the remaining 59 verses on his own, describing her, from her head to her feet. For Gods, description begins from feet to head and for Goddesses, it is from head to feet, which is known as Kesadi padantam. 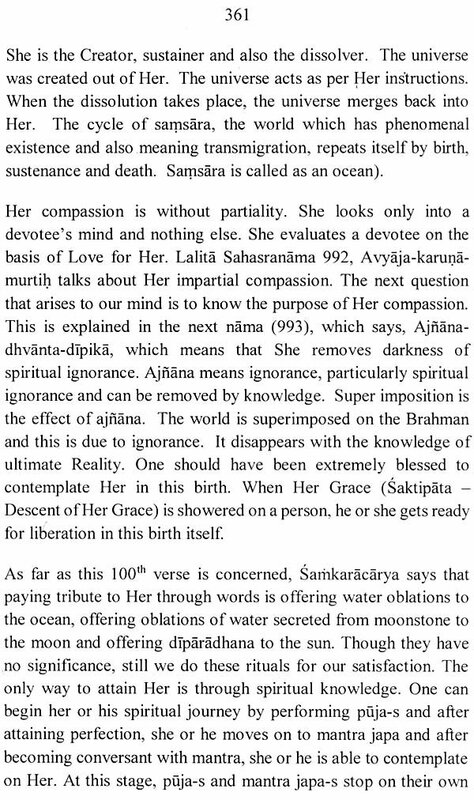 Saundaryalahari is based on this principle. 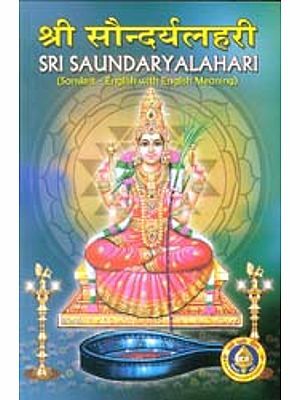 Original part containing 41 verses is temed as Anandalahari and the part composed by Samkara, containing 59 verses, is termed as Saundaryalahari and all the 100 verses put together is also known as Saundaryalahari. Parasakti is worshiped either through mantras such as Pancadasi or through great poetic compositions like Lalita Sahasranama. But, Saundarylahari is the combination of both and hence is considered as crest jewel of all Her worship. While studying Saundaryalahari, we should always remember that the entire work is that of Siva, conveying both gross and subtle interpretations. Every effort is taken to interpret these verses in simple language and with these few words, this book is placed at her Lotus feet to bless us with purusartha, the fourfold values of human life-dharma (righteousness or virtues), artha ( wish or purpose), kama (wish or purpose), kama (desires and pleasures) and moksa ( the liberation).